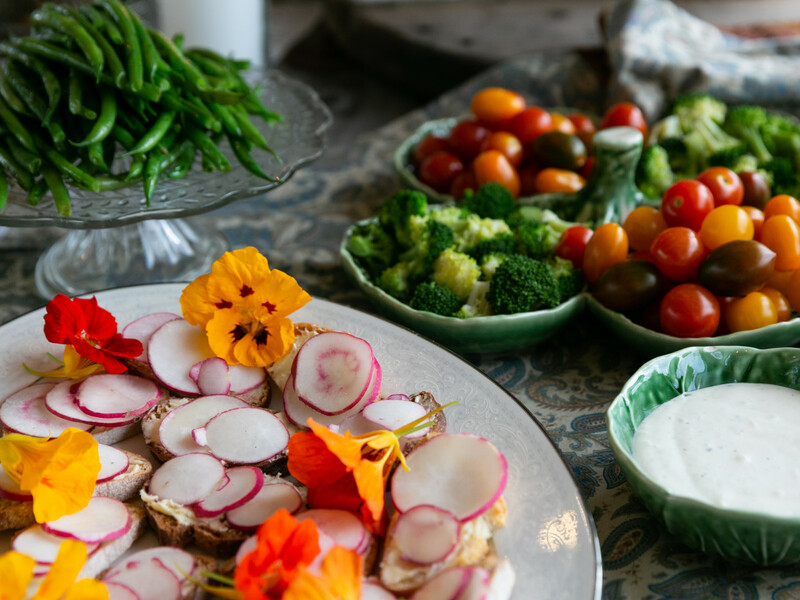 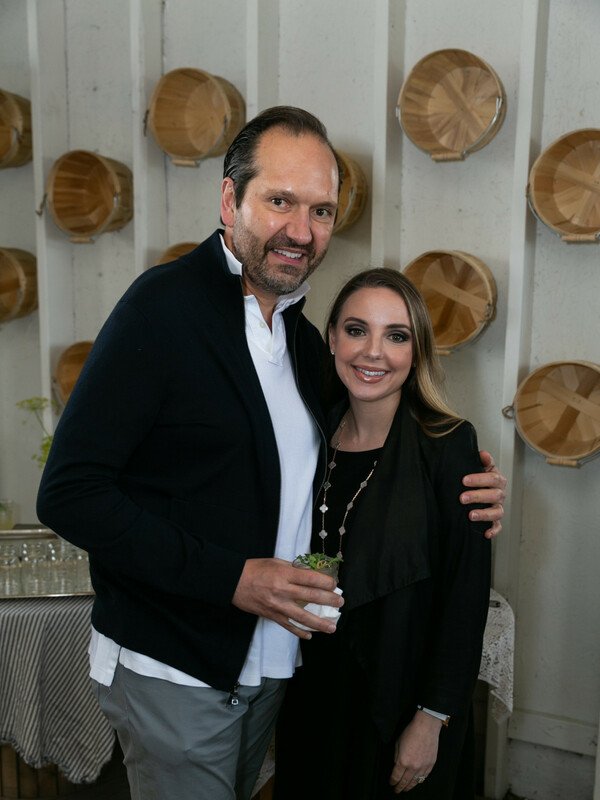 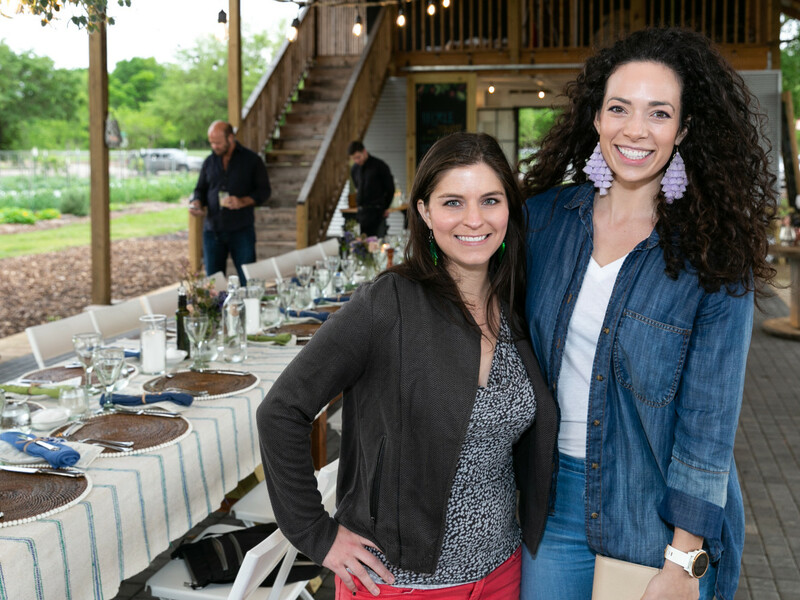 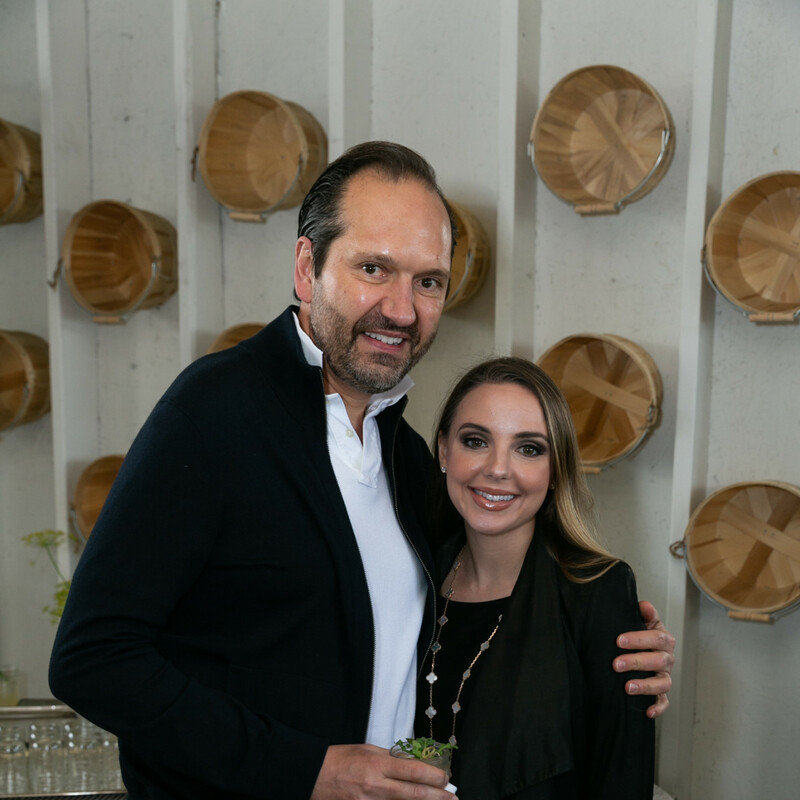 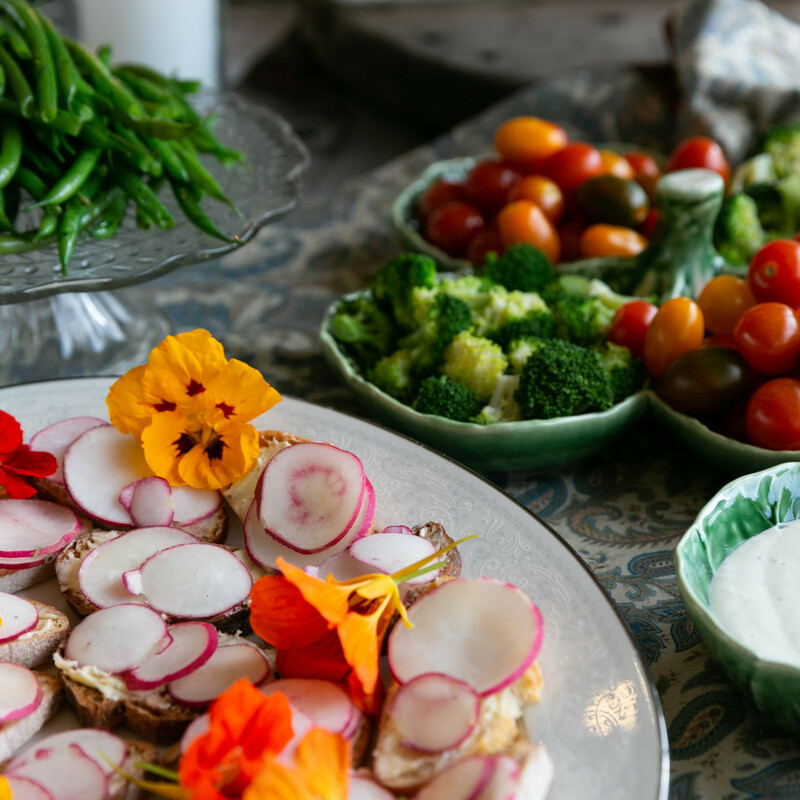 In spite of the weather, beloved Recipe for Success founder Gracie Cavnar pulled off yet another Chefs in the Field alfresco supper, this time to celebrate Mother Earth. 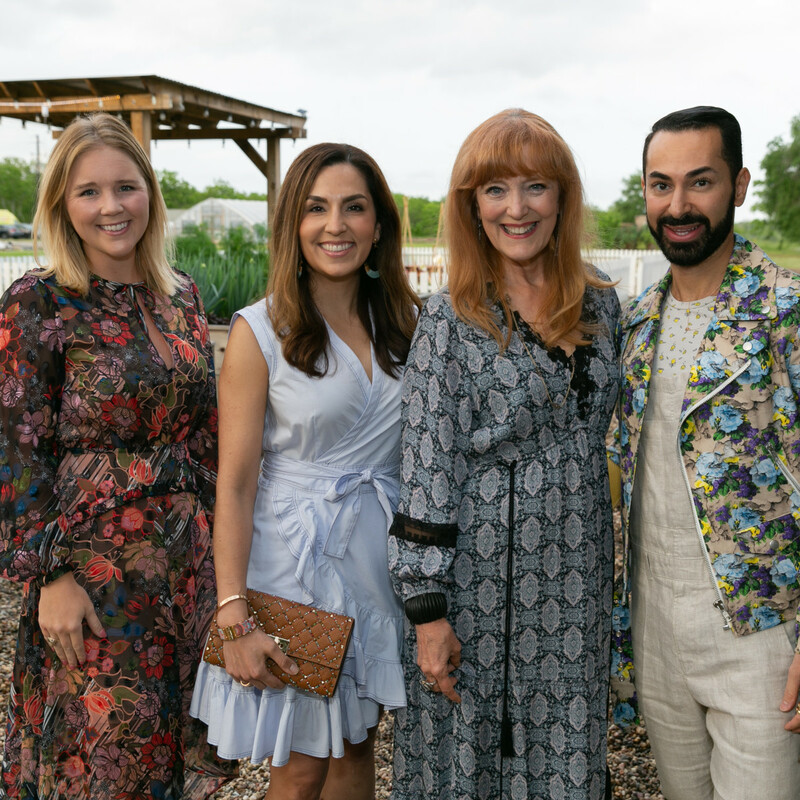 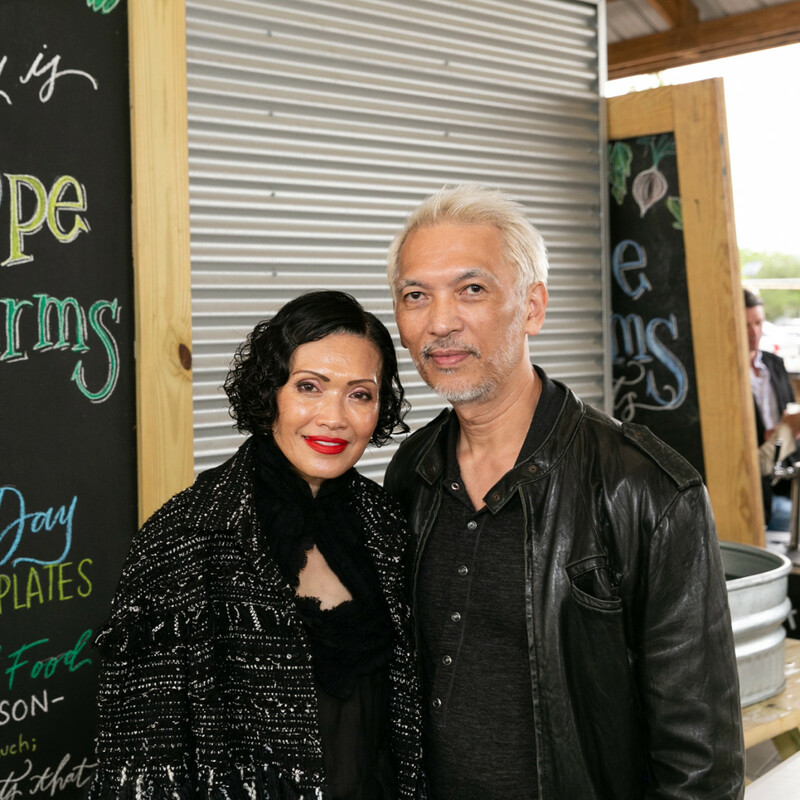 Hosted by Recipe for Success Foundation at Hope Farms, the evening featured farm-fresh produce and a menu showcasing the best of locally sourced food and star chefs. 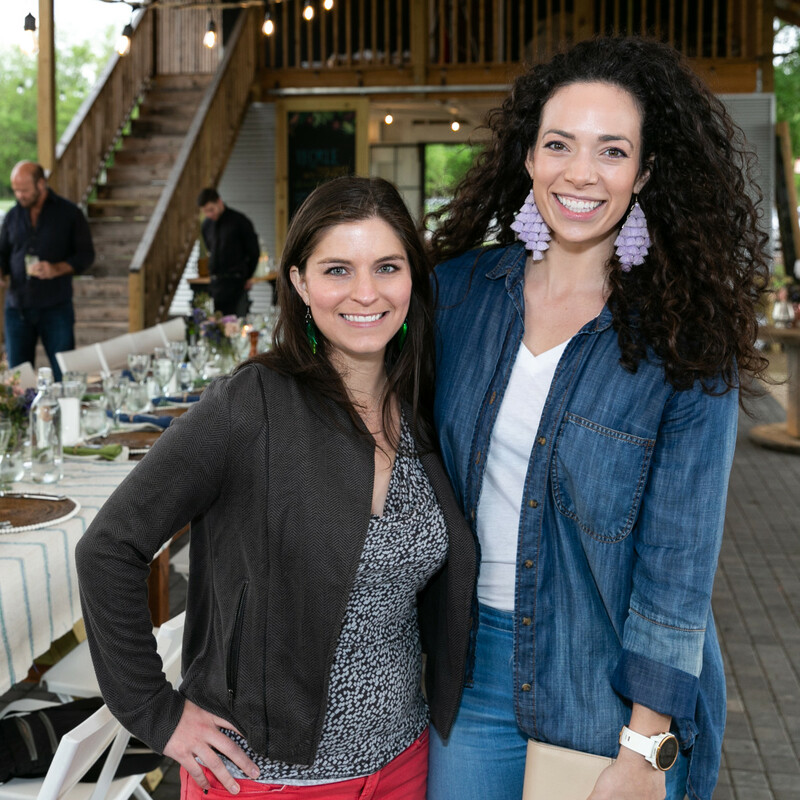 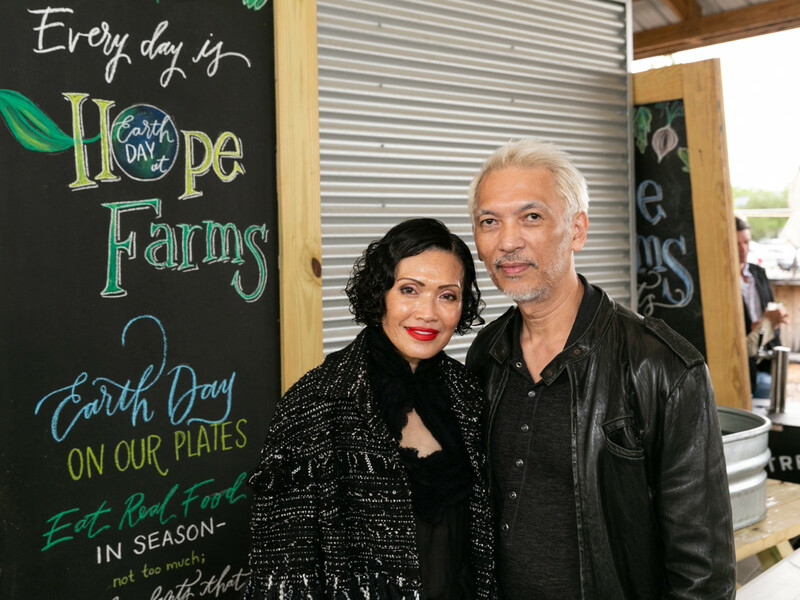 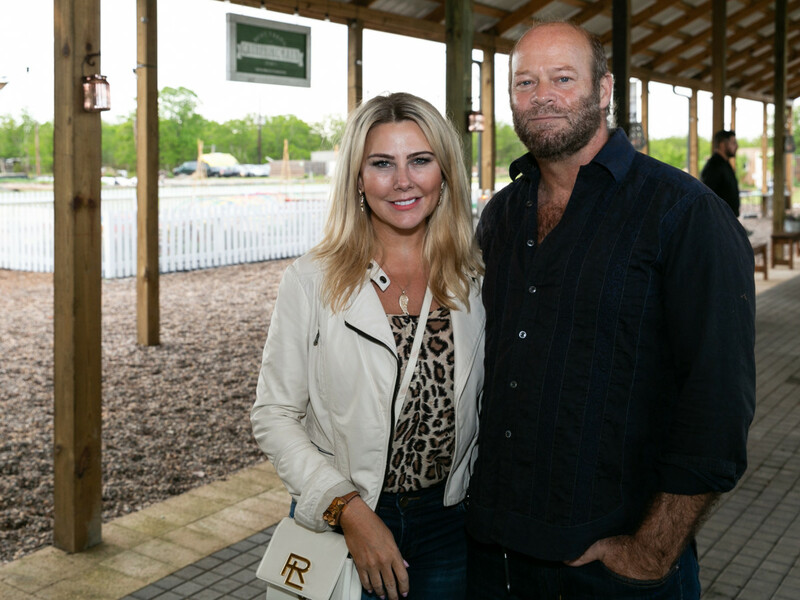 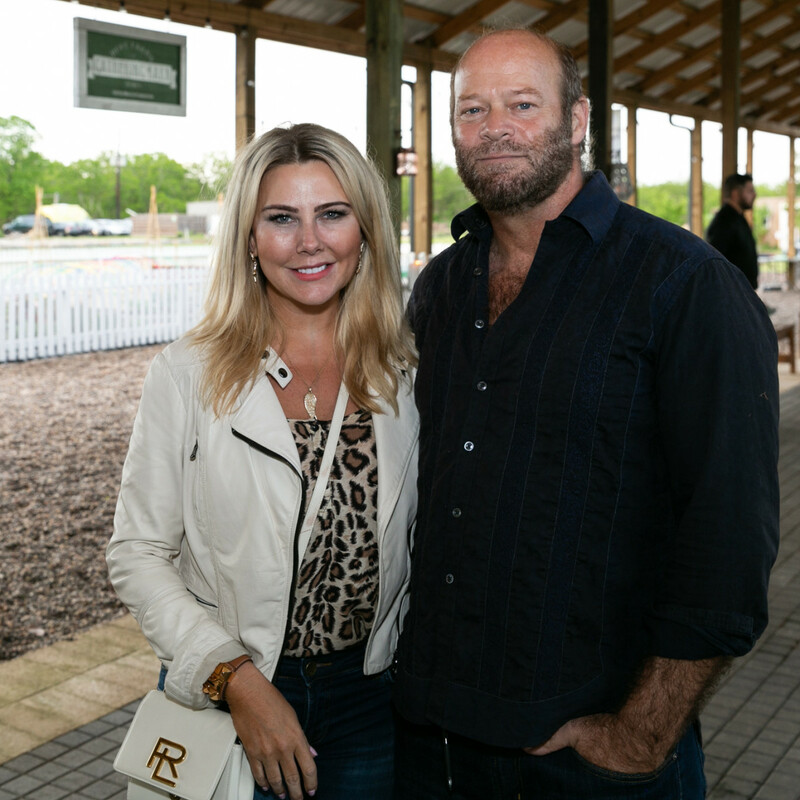 The supper, held on the bucolic grounds of the farm, raised funds to underwrite the free Earth Day Family Festival held at the farm the day before for more than 300 children and families. 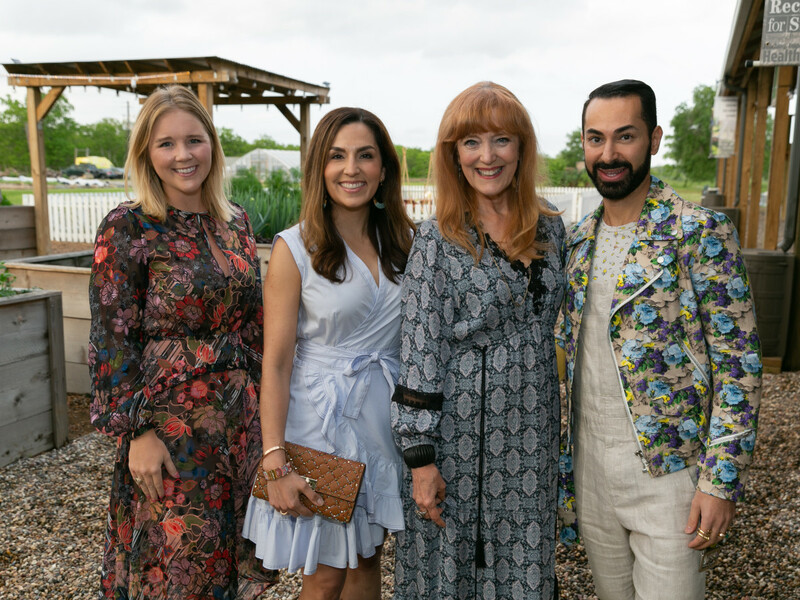 “It all ties together in our work to teach, empower and inspire healthy eating,” says Cavnar. 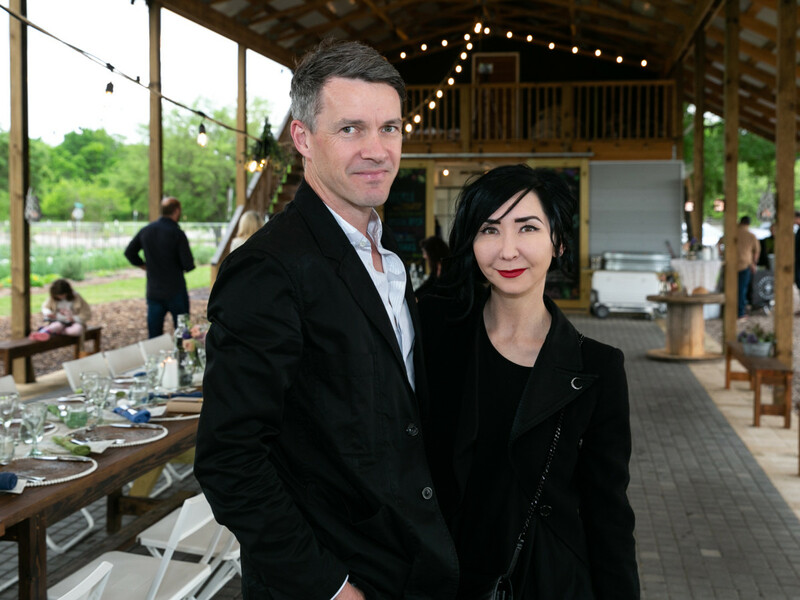 The evening kicked off with cocktails and Farm Crudité in the Hope Farms Market Stand. 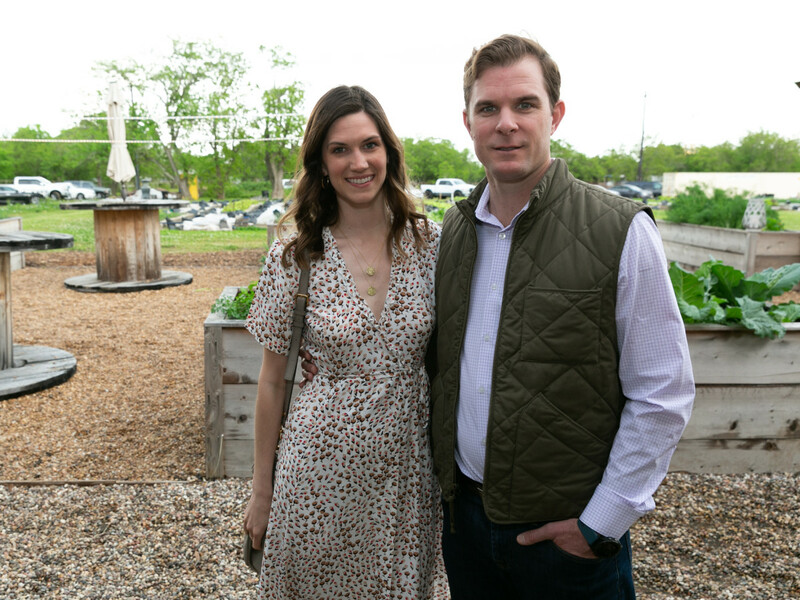 Guests sipped “Garden Party” cocktails crafted with Treaty Oak Old Yaupon Gin and served from an antique bicycle, Saint Arnold Brewing Company’s Fancy Lawnmower Beer and California Champagne as they enjoyed the fresh post-storm breezes that blew across the seven-acre urban farm. 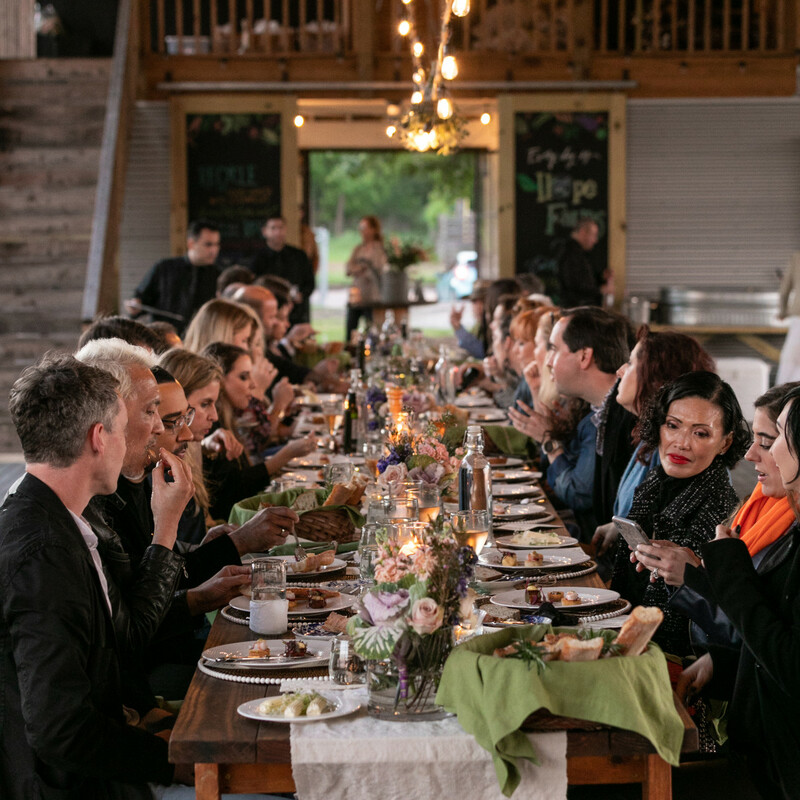 As the sun set, guests took their seats in the open-sided Gathering Barn. 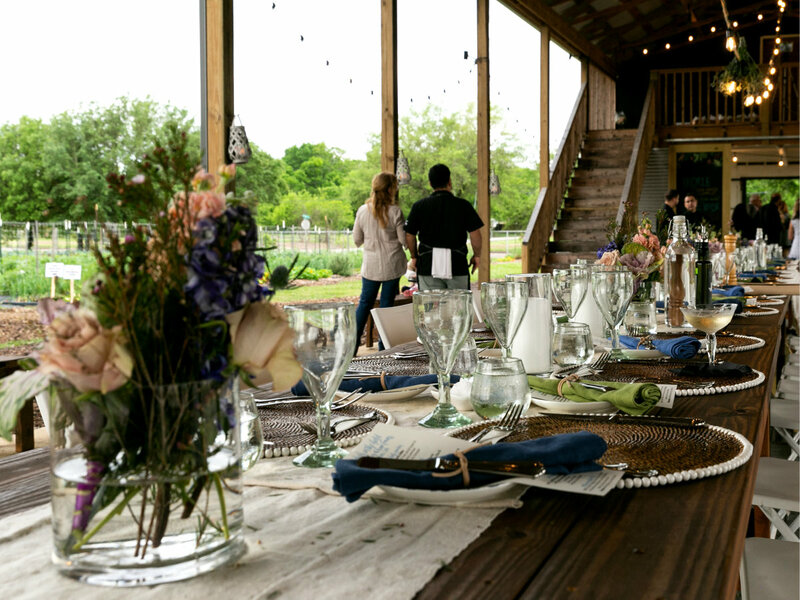 With thanks to stylish party rental concierge, Your Butler’s Pantry, the long, rustic table was set with woven placemats, hand blown glasses and textural elements in greens and blues — including floral arrangements by Cavnar, 1836: Texas Olive Oil and a bread presentation by Common Bond Bakery & Café. 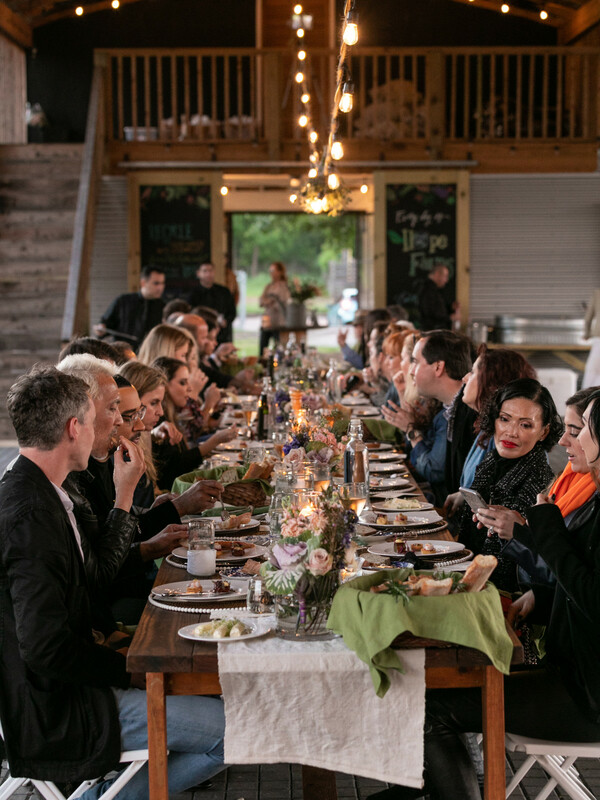 Jeff Auld of On The Kirb kicked off the meal with roasted Hope Farms Baby Beets and sous vide baby carrots with fig balsamic, and virgin oil topped with goat cheese and dehydrated goat’s milk crumbles. 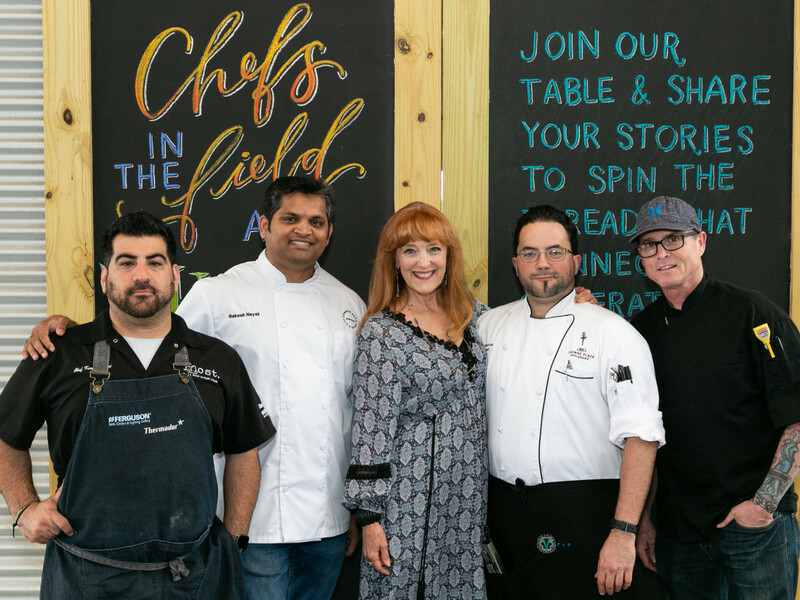 Kevin Naderi of Roost supplied the main course with his smoked Duck Breast and Spring Vegetables served over smoked yogurt with demi glace and herbed olive oil. 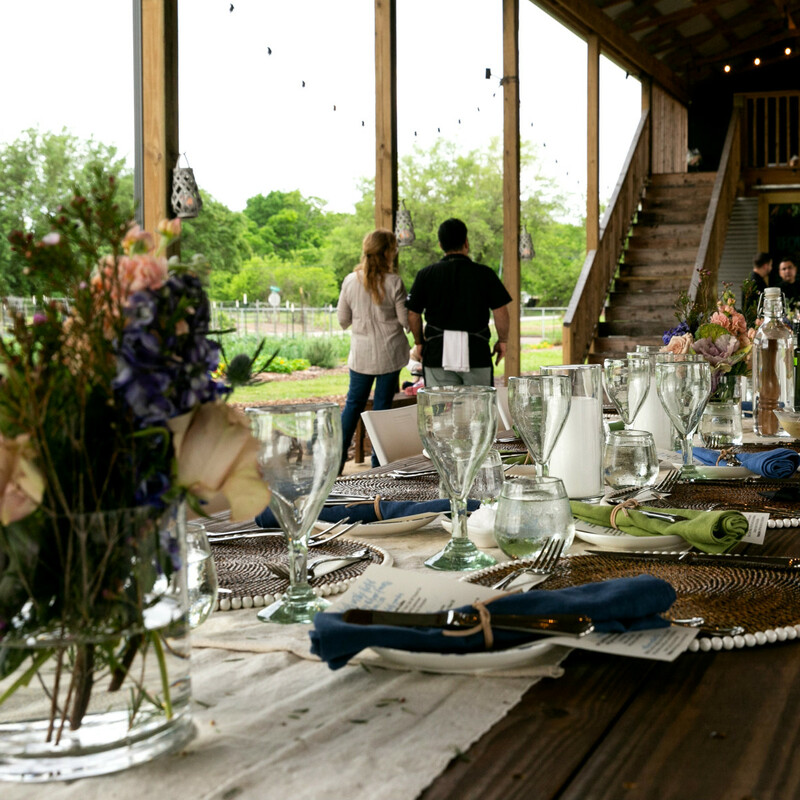 Naderi’s course was followed by a presentation of Dairy Maids cheeses and Hive Bee honeycombs. 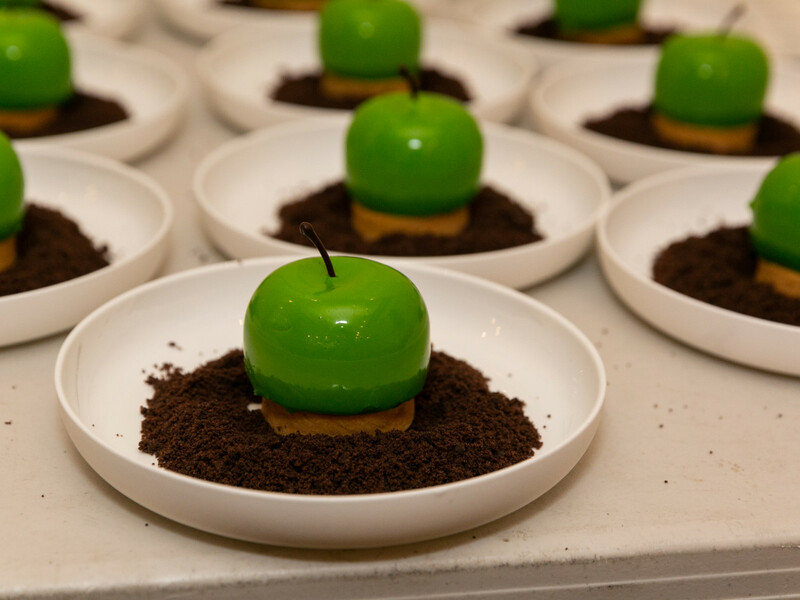 The event ended on a sweet note with Rakesh Nayak of Common Bond’s Instagram-worthy Apple & Caramel-filled Almond Cake topped with mascarpone and cream cheese cinnamon Chantilly. 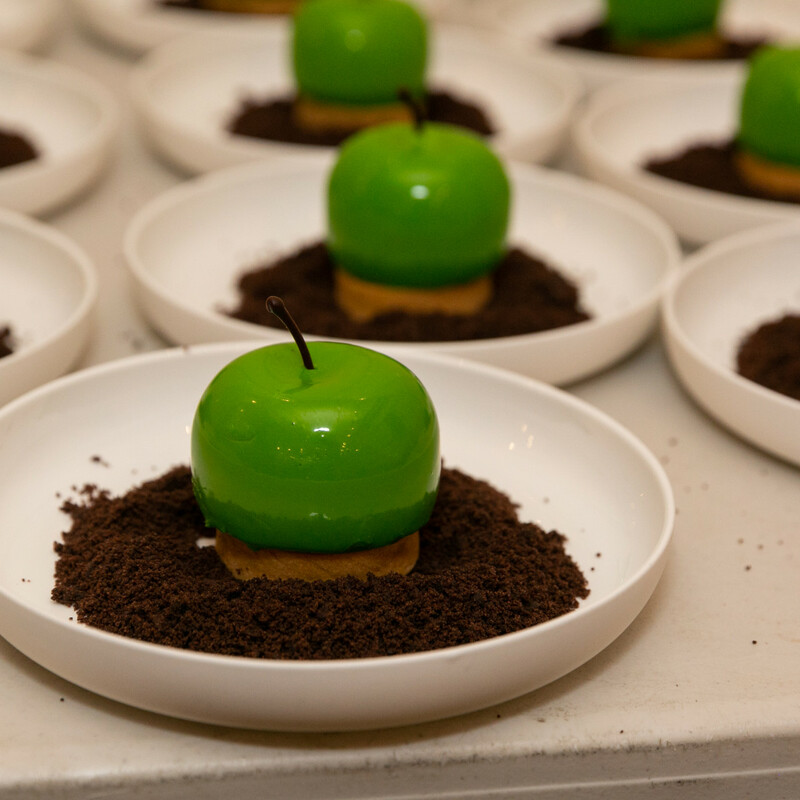 Nayak’s dessert was paired with Treaty Oak Red Handed Bourbon. 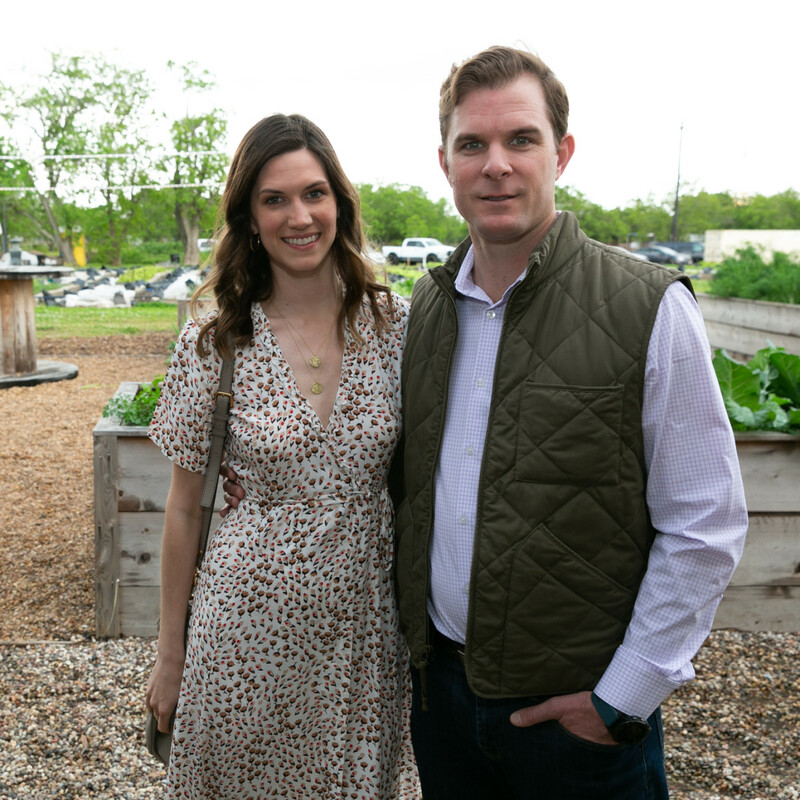 The next planned Chefs in the Field will be a Tribute to the Tomato on June 17. 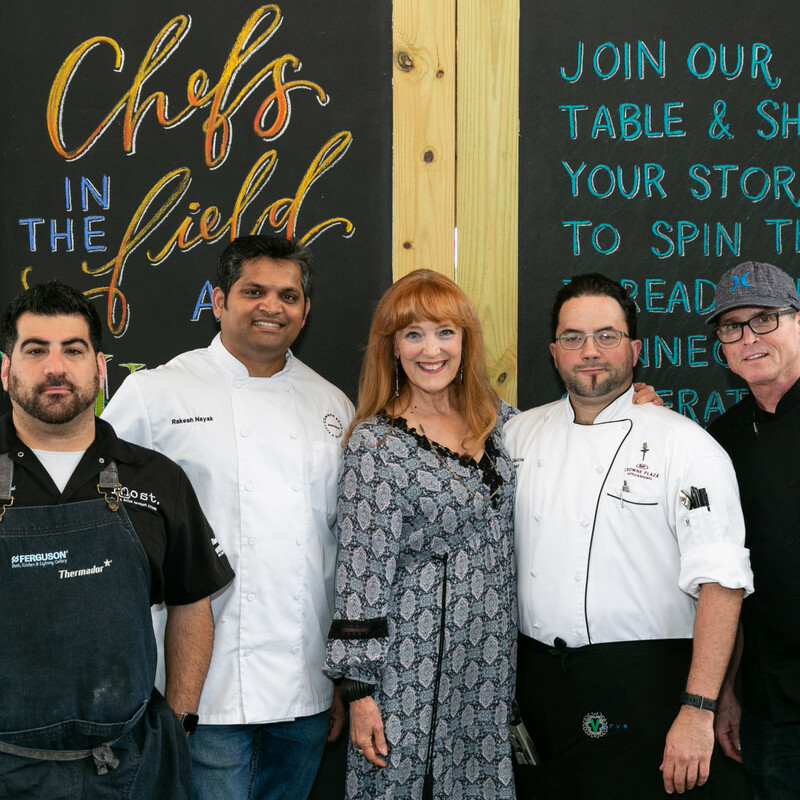 Already inked for June are chefs Dylan Murray of Benjy’s and Local, Ben McPherson of Bravery Chef Hall, and Tony Guard of the soon-to-open Guard and Grace. 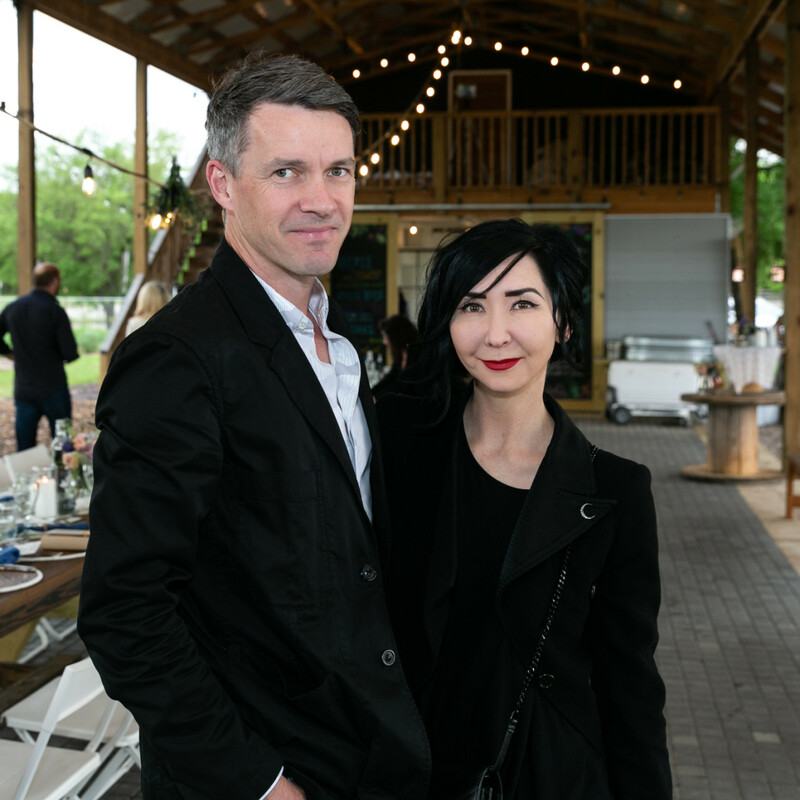 Who: Jim and Sandi Lemming, George and Patricia Joseph, Natalye Appel and John Casberian, Kristina Sommerville, Jessica and Veen Gregg, Branden McClenden, Melanie and Daniel Ringold, Fady Armanious, Julie Chen, Sherry and Dr. Bradley Weiner, Patrick Levrat, Michelle Hart, Ariana and Steve Smetana, Carrie and Sverre Brandsberg-Dahl, Duyen and Marc Nguyen, Dee Dee Guggenheim and Aarron Howes, and Molly Hubbard.